A one-year hold on English football’s goalscoring record – and discovering Brian Clough – George Camsell left a great legacy, but comparatively few know of him. In the 1926-27 season Middlesbrough forward George Camsell scored an amazing 59 times for his club in the 2nd Division (with four more in other competitions). The goal total smashed the previous single-season football league record and would no doubt have secured him a place among the greats of football history. Unfortunately for Camsell, a certain Dixie Dean came along a mere season later and, in the 1st Division, took away his record by a single goal. Nobody has ever beaten Dean’s record, or come close to either his or Camsell’s total. But the second-place man has received little acclaim for his feat in comparison to the mighty Dixie. Whilst Dean is remembered with reverence by both Everton fans and football followers in general, Camsell’s feats remain largely unremembered outside of Teeside. But his goalscoring exploits go far beyond that single campaign; a total of 325 goals in 418 games for ‘Boro, along with 20 in 21 games for Durham City (his first and only other club) as well as an amazing 18 goals in 9 games for England are proof enough that Camsell was anything but a one-season wonder. Born in Framwellgate Moor, Durham, Camsell initially worked as a miner and played minor football with Esh Winning and Tow Law Town before joining then-Third Division Durham City in 1924. A record of 20 goals in 21 games earned him a £500 transfer to Middlesbrough in October 1925. His first season at Ayresome Park proved difficult with the team finishing in mid-table in the 2nd Division. At one time it appeared possible that he might move to Barnsley but then-manager Herbert Bramlett decided to give him a second chance. Camsell grabbed that opportunity with both hands scoring those 59 goals in just 37 games. He scored an amazing nine hat-tricks in those 37 appearances, which is also a record. Middlesbrough scored a total of 122 goals that season and romped away with the 2nd Division crown by eight points from Portsmouth. They scored seven goals in a match three times and racked up an incredible 78 goals in 21 home games. So ‘Boro moved up to the top flight, although there was a feeling was that Camsell might find it tough to match those exploits against the tougher defences of Division One. In the second game of the season he came up against Dean and Everton and showed his class, banging in all the goals in a 4-2 win. But it was Everton who went on to take the title and Dean the scoring record, netting 60 times. ‘Boro meanwhile finished bottom, and it was back into the second tier for Camsell and Co. In 1928-29 Camsell and his team bounced back again, capturing the 2nd Division title with their star striker continuing to find the net on a regular basis. Toward the end of the season he received his first call-up for the England team scoring twice in a 4-1 win over France in Paris. Two days later he scored four in a 5-1 hammering of Belgium in Brussels. Later that year he scored twice against Ireland and added a hat-trick against Wales. Then, he was dropped and didn’t play for his country again for four years! International matches took place on a far less regular basis in Camsell’s era, and remember, he was competing against the likes of Dean. But that record over his first four starts must have made it a big surprise to be omitted. He was eventually recalled and scored at least once in every start for his country finishing with that remarkable tally of 18 in 9 games. 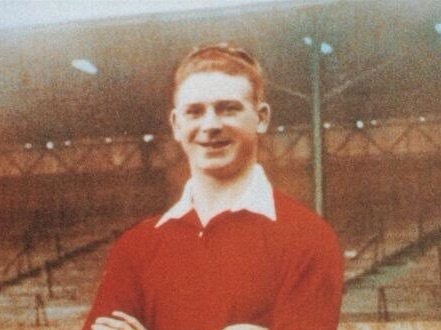 Camsell continued to score on a regular basis throughout the 1930s and finished as Middlesbrough’s top scorer ten seasons in a row. He also figured in something of a renaissance at Ayresome Park. 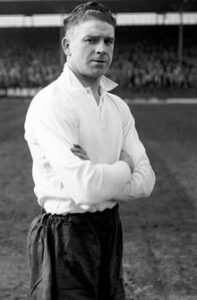 With Wilf Mannion and George Hardwick now in the side, ‘Boro after bouncing around in the lower reaches of the top flight for much of the decade, ended it with 5th and 4th-place finishes. 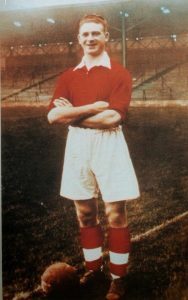 Camsell made his final appearance against Leicester City at Ayresome Park on 10 April 1939. He scored (of course) in a 3-2 win over Leicester City. Then came WW2, although at 36, his career was, to be fair, in it’s final throes. A sparkling career ended with a record of 325 goals in 418 appearances for the club. The record could have been even greater as, somewhat remarkably he was not Middlesbrough’s regular penalty-taker. After missing one early in his career he vowed never to take them again and kept his word. During the war, Camsell worked in local factories but once hostilities ceased in 1945 he returned to Middlesbrough as a scout. It was in this role that he discovered and recommended a young Brian Clough to the club. Clough joined after completing his national service in 1955 and scored 197 times in 213 starts; great, but not quite Camsell-great! Camsell eventually became the club’s assistant secretary before retiring in 1963 and passing away in 1966, shortly before England won the World Cup. There is no doubt that Camsell continues to be revered in Middlesbrough, although surprisingly (and unlike former teammates Hardwick and Mannion) there is no statue outside the Riverside Stadium commemorating his achievements and legacy. in these days of instant football heroes, it is somewhat sad that we can almost forget the goalscoring exploits of George Camsell. His club were hardly fashionable in the 1920s and 30s but those goalscoring exploits have certainly stood the test of time and he really does deserve more than a passing nod as one of English football’s all-time greats.